Lisa has been a part of the Southpointe family since August 24, 2000. She has an A.A.S. degree in Small Business Management from a division of University of Kentucky. Lisa has a strong faith in God and is an active member of her church. At Riverview Church of God, Lisa is a choir member, part of the Greeter’s Committee, Secretary of the Women’s Ministries board, Small group Bible study teacher, Secretary of the Outreach and Missions Board and Assistant Prayer Ministries leader. Jennifer started her employment with Southpointe in June 2004. She is an avid book and animal lover. After the bookstore that she worked at for six years closed she decided to pursue a position involving her love of animals. Jennifer has an Associate’s Degree in Liberal Arts from Henry Ford Community College. She is a proud cat mom of Madison “Moo”, adopted from Southpointe and Beezus, a cat she fostered and then adopted from P.A.W.S. of Michigan. 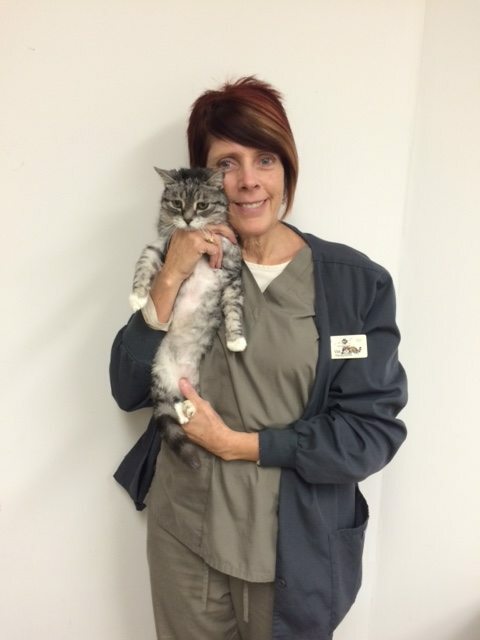 Since 2008 Jennifer has been a feline foster parent for P.A.W.S. of Michigan, providing a loving home to many cats as they await their forever homes. Kim previously worked at Southpointe in 1997-1999. She returned to us in 2008 and has been a part of the receptionist time since. Kim returned because of her love of animals and people. Kim has a beagle named Cayman. Kim’s hobbies include traveling and mini-golf. 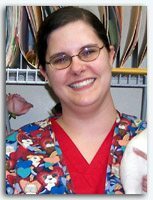 Val has been with our family at Southpointe Veterinary Hospital since 2002, and working within the business since 1999. Prior to that, she was a pre-school teacher for eleven years and has a degree in early childhood education. Val’s pet family includes multiple cats. 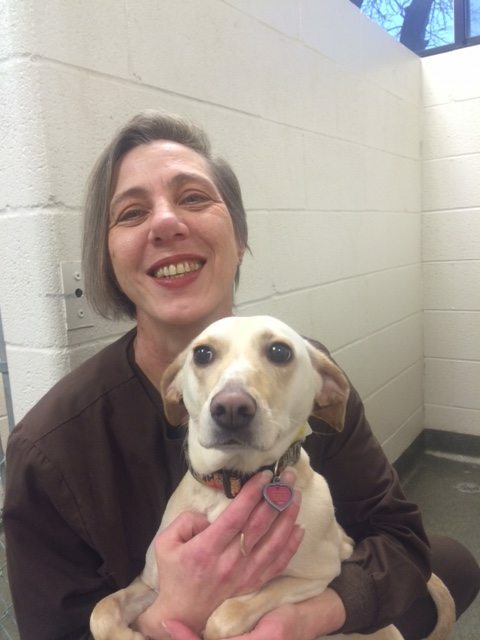 Sheila is a Wyandotte native and considers herself a “dog person”. 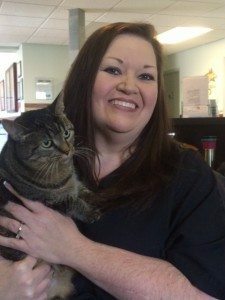 A Michigan State University alumni, she came to Southpointe Veterinary Hospital in 2012 and primarily works as a receptionist but also thoroughly enjoys getting close with the boarders when working a few times a month as a kennel attendant. She has come to better appreciate the feline species and invites everyone to come to our Adoption Center when looking for a new addition to the family.